Each month we ask a Porteño (Buenos Aires Native) the same 15 questions with the goal of getting a unique perspective on Buenos Aires that visitors and expats alike can learn from. In this month’s edition we meet up with Valeria Versi, a marketing planner and musician. Valeria Versi: Age 32. Lives in Belgrano. Born and Raised in Flores. Partner at Mkt Planner and Bass Player for Las Hijas De Yiya. 1. Describe a perfect day in Buenos Aires for you? The perfect day for me is to wake up early, have a great breakfast with mate and medialunas and then go with my friends to a trade fair, food fair, a feria artesanal or a festival ( Feria Masticar, Mercado De Pulgas, Festival: Ciudad Emergente). In Buenos Aires there are a lot of things to do every weekend and for free. At night I like going out with friends, listening to some live music or playing with my band. 2. 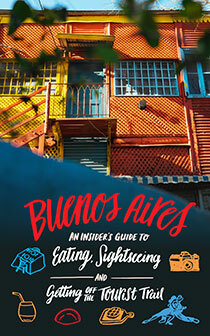 Where would you bring someone who is visiting Buenos Aires for the first time? Tigre is a place near the Delta del Parana, you can find El Puerto de Frutos were you can buy very cute things or travel along the river in a Catamaran. After shopping you can spend a nice afternoon drinking mate beside the Parana River. I recommend to go very early in the morning and come back before 6 pm because otherwise you will encounter a lot of traffic. 3. Do you have any preferences on where to go shopping or any secrets? I live in Belgrano and I have Cabildo Avenue very near so i buy a lot of clothes there. The prices are not that cheap but it is ok. Another place that is cool to buy some clothes is Galerías Bond Street on Santa Fe 1670 in Barrio Norte. You can choose the style you like, buy clothes or maybe get a tattoo or piercing. 4. What is your favorite restaurant and why? My favorite is not a restaurant, it is a place called Spangher in Villa Urquiza. It used to be a store house in the 30’s. You can drink artesanal beer and eat a great picada. The place is not that expensive but all the food and beer are excellent. Also there is a restaurant called Los Chanchitos in Caballito where you have the tipical menu, parrilla, pasta, salads but the best food is the matambre a la pizza. You can share all the plates because the portions are so big. 5. What is your favorite Parrilla and why? I will recommend one in Belgrano called La Escondida. It is a cool place where you can eat parrilla and the price is perfect. 6. What place has the best empanadas and why? In Argentina we have 3 places where you have to go to eat empanadas and pizza. At La Americana you can find excellent empanadas de carne. Kentucky has great pizzas, I recommend the “Provolone”. Los Inmortales is another great one. If you come to Argentina you have to go to at least one of these 3 places. I have heard about a pizza tour which is like a pub crawl but it is a pizza crawl. It is a funny experience. 7. What is your favorite empanada flavor? 8. Besides meat and empanadas, what is an Argentine food that everyone has to try? If you come in Winter you should try the guiso. There is a place called La Peña del Colorado where you can eat empanadas Salteñas (Salta style empanadas), delicious by the way, and guiso while listening to live music tipical of Argentina. 9. What is your favorite bar/club? Salon Pueyrredon. I have been going for a couple of years. If you like good/cool music you should go there. Very eclectic people but it is always fun. At the end of the night (5 am) before going to sleep I recommend eating a piece of pizza on the corner of the street because you will find la pizzeria Kentucky. 10. What do you love about Buenos Aires? The different architecture in the buildings. If you start walking around where you stay, and get lost a little bit, I guarantee you can find marvelous old houses. Buenos Aires has a mix between old buildings and modern ones that make it unique. 11. What do you hate about Buenos Aires? I don’t want to scare anyone but I don’t like the insecurity at night, but we all know all big cities have it. 12. If a tourist wants to spend time in Buenos Aires like a local, what should they do, where should they go? To Palermo to drink beer with some friends or just stay in a house and eat an asado. You could check out Sonoman, Carnal or Puerta Uno. 13. What is an authentic cultural experience in Buenos Aires where there are no tourists? Buenos Aires has a lot great places but I recommend finding a little bar in San Telmo, listening to live tango music and watching the people dance. One in particular I can recommend is Buenos Ayres Club at Peru 571. 14. What is your favorite Neighborhood? Why? I like Vicente Lopez, you have the river near so you can relax, ride a bike, sunbathe or just listen to music along the river. 15. 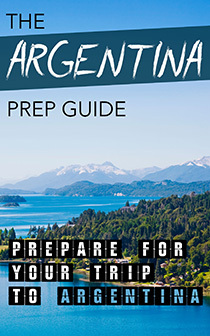 What is your favorite destination in Argentina outside of Buenos Aires to travel to? Why? I love Cordoba. It is a very energetic province and if you climb El Uritorco (Cordoba’s highest peak) you will maybe get lucky and see some UFO’s. This was a good, informative read. Thank you for the post! Nice interview! I would love to return to visit Buenos Aires. It’s been too long!